Locate lavatera near the edges of beds to make it easy to gather stems for indoor arrangements. The newly opened blossoms make good cut flowers. 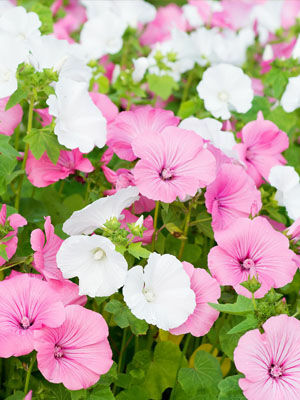 Colours include soft pink and white. Expect some cosmetic damage from leaf-eating beetles.